1-5 caplets daily, or more as recommended by your health practitioner. For more information see Dr. Wilson’s Program for Adrenal Fatigue. What is Dr. Wilson’s Super Adrenal Stress Formula? What is the difference between Dr. Wilson’s Super Adrenal Stress Formula and a regular multivitamin/mineral supplement? 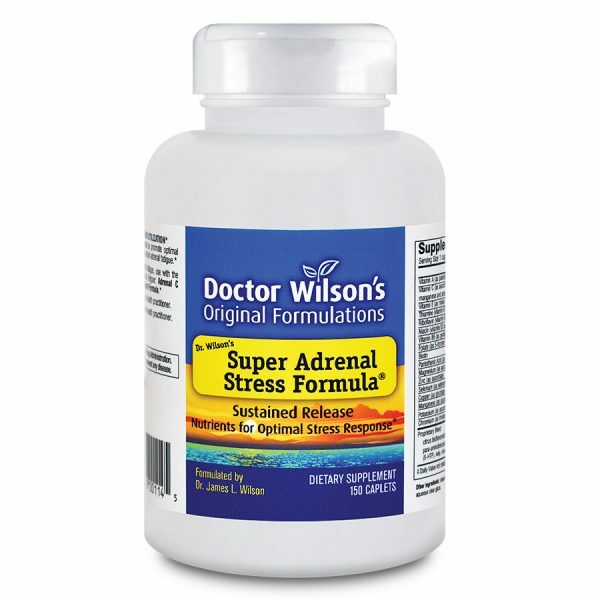 Does Dr. Wilson’s Super Adrenal Stress Formula contain natural or synthetic stimulants? 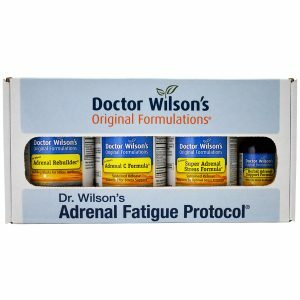 Does Dr. Wilson’s Super Adrenal Stress Formula contain any hormones or steroids? What is the difference between Dr. Wilson’s Super Adrenal Stress Formula and Dr. Wilson’s Adrenal Rebuilder? How does sustained release work in Dr. Wilson’s Super Adrenal Stress Formula? What does Dr. Wilson’s Super Adrenal Stress Formula do? How quickly will Dr. Wilson’s Super Adrenal Stress Formula begin to work? Who can take Dr. Wilson’s Super Adrenal Stress Formula? What is the best way to take Dr. Wilson’s Super Adrenal Stress Formula? How long can I take Dr. Wilson’s Super Adrenal Stress Formula? Can I take too much Dr. Wilson’s Super Adrenal Stress Formula? Is the quality of Dr. Wilson’s Super Adrenal Stress Formula reliable? What’s the difference between Dr. Wilson’s Super Adrenal Stress Formula and a regular multivitamin/mineral supplement? How does the sustained-release work in Dr. Wilson’s Super Adrenal Stress Formula? How quickly does Dr. Wilson’s Super Adrenal Stress Formula begin to work? Super Adrenal Stress Formula is amazing!!! Keep up your good work!!! Taking Adrenal Rebuilder and Super Adrenal Stress Formula has been great! Now I have been taking them for a few months now and I really feel good. I used to sell and take a lot of vitamins but I think these really speak to the problem. 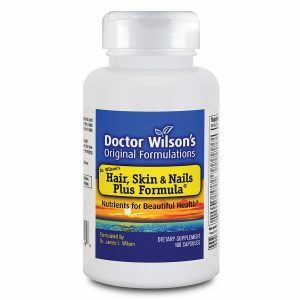 I am a user of Dr Wilson’s products for about four and half months now. 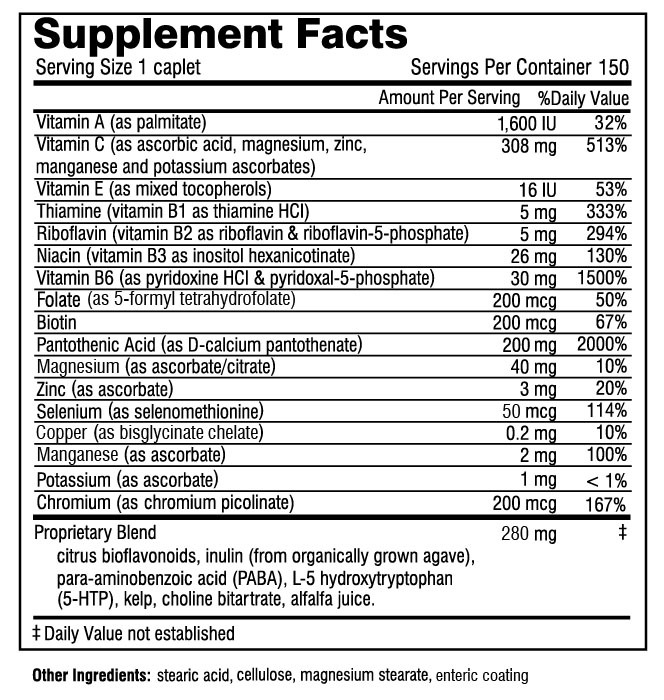 I do feel they are valued supplements, especially the Super Adrenal Stress formula. Thank You. I started taking the Super Adrenal Stress Formula two weeks ago. Please rush deliver to me more of this wonderful product and thank you for formulating it in the first place! I started only one week ago taking Adrenal Rebuilder and Super Adrenal Stress Formula and I am amazed. As such, I’m placing a replacement order immediately for more of these two products as well as the others I didn’t order initially. I love Super Adrenal Stress Formula – they don’t make me sleepy anymore and don’t keep me up at night. Super Adrenal Stress Formula: A brainchild of Dr. James Wilson for adrenal support. Of all the products I carry and recommend, this one and the Adrenal Rebuilder have generated the most excitement among those taking it.